Zanu PF has won Bulawayo’s Cowdray Park local government by-election which was marred by low voter turnout. The ward fell vacant following the death of MDC Alliance councillor Hapson Ncube in December last year. Some polling stations were already deserted by mid-morning in a by-election that had a high number of re-directed voters. At least all contesting political parties and independent candidates had polling agents in nearly all polling centres. The Zimbabwe Election Support Network (Zesn) — that deployed observers extensively — also confirmed the large number of redirected voters, blaming this on failure by the Zimbabwe Electoral Commission (ZEC) to post the voters’ roll outside the polling stations. “This (can be attributed to the fact that there are voting centres that have more than one polling station leading to voters presenting themselves at wrong polling stations. Our concern is that the voters roll is not posted outside/displaced outside and so people are not aware where they are supposed to be presenting themselves for voting,” Zesn programmes officer Ellen Dingani said in an interview. The campaign period leading to the by-election was largely peaceful though reports of intimidation, defacement of campaign and voter education posters and materials were registered. 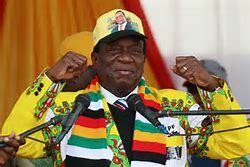 Zanu PF which has pulled all stops to win the by-election is the only party that held rallies ahead of the polls. The ruling party deployed top party officials from its commissariat department led by Vice President Kembo Mohadi to lead the campaigns. Mohadi also donated 60 tonnes of maize and 30 tonnes of rice to Cowdray Park residents at one of the campaign rallies in a move that some opposition parties complained about as a vote buying gimmick. 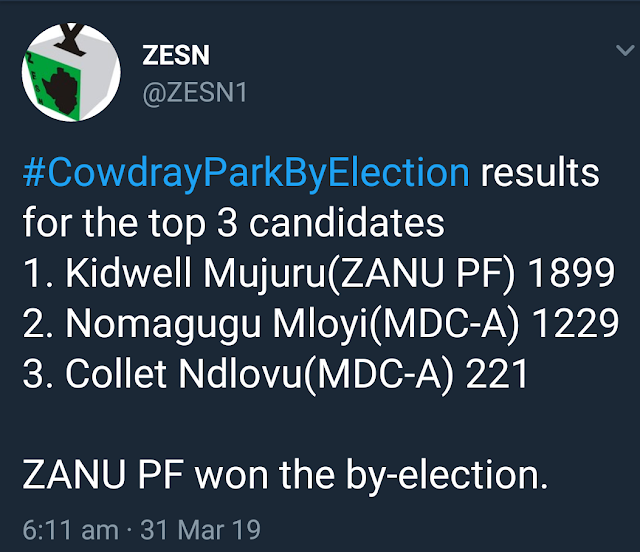 Zanu PF was represented by 2018 losing candidate Kidwell Mujuru.